Recent decades have witnessed an explosion of museum building around the world and the subsequent publication of multiple texts dedicated to the subject. 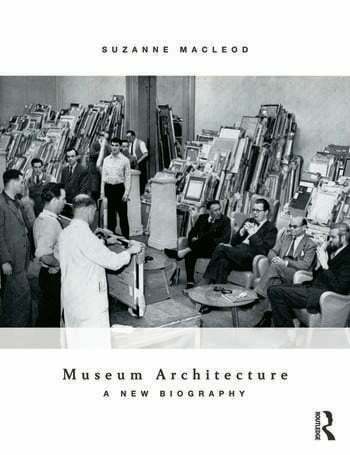 Museum Architecture: A new biography focuses on the stories we tell of museum buildings in order to explore the nature of museum architecture and the problems of architectural history when applied to the museum and gallery. Starting from a discussion of the key issues in contemporary museum design, the book explores the role of architectural history in the prioritisation of specific stories of museum building and museum architects and the exclusion of other actors from the history of museum making. These omissions have contemporary relevance and impact directly on the ways in which the physical structures of museums are shaped. Theoretically, the book places a particular emphasis on the work of Pierre Bourdieu and Henri Lefebvre in order to establish an understanding of buildings as social relations; the outcome of complex human interactions and relationships. The book utilises a micro history, an in-depth case study of the ‘National Gallery of the North’, the Walker Art Gallery in Liverpool, to expose the myriad ways in which museum architecture is made. Coupled with this detailed exploration is an emphasis on contemporary museum design which utilises the understanding of the social realities of museum making to explore ideas for a socially sustainable museum architecture fit for the twenty-first century. Suzanne MacLeod is Head of the School of Museum Studies, University of Leicester. Her research interests focus on museum architecture and design and particularly the relationship between historical representations of museums and contemporary design practice. Publications include Museum Making (ed. with Laura Hourston Hanks and Jonathan Hale, 2012), Museum Revolutions (ed. with Simon Knell and Sheila Watson, 2007), and Reshaping Museum Space (2005).